Reservoir Dongs Movie Competition – Top Prize 100 Credits! 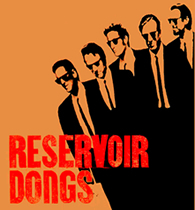 The January movie competition theme is Reservoir Dongs! All you need to do is to upload your funniest, naughtiest, whackiest or horniest movie clip taken of you doing something relating to Reservoir Dongs. Everyone wants to know that you shot the movie specifically for the competition so it's really important you remember that all entries must have AdultWork.com written on your body or a sign with the words AdultWork.com written on it. Entries without this will be deleted and no correspondence entered into. Other members can vote for your movie and the one with the highest audited scores will win 100, 50 or 25 credits. So, get shooting and upload your movie here. Alternatively, and perhaps for inspiration, view the current entries here. If you have any ideas you would like us to consider for future movie competitions, please let us know here. The movie must be of yourself or feature you with others whom have given their permission to be filmed. We now request that members include the date on the sign so as to be sure the movie has been shot specifically for the themed competition. Closing date 31 Janurary 2010. The Webmaster's decision is final. Legal | Privacy | Cookies | Insider | Social | Developers | Contact | UK: 22/04/2019 10:57 GMT: 22/04/2019 09:57 VAT: US.